The shortlist of nominees has been announced for the 2006 Irish Film & Television Awards, the first to take place under the auspices of the recently re-constituted Irish Film & Television Academy. Neil Jordan's Breakfast On Pluto leads with a total of ten nominations, followed closely by Brian Kirk's Middletown with nine. Ken Loach's The Wind That Shakes the Barley and John Boorman's The Tiger's Tail have captured seven nominations each. Breakfast on Pluto, The Wind That Shakes the Barley and Middletown are Best Film contenders alongside Niall Heery's Small Engine Repair and David Gleeson's The Front Line. 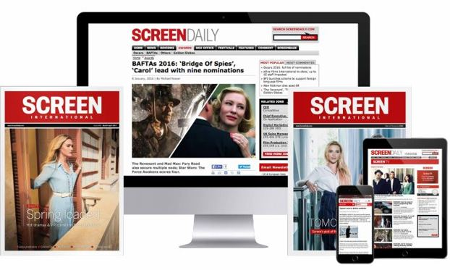 The acting shortlist features some of Ireland 's internationally recognised screen talent. Cillian Murphy has received two nominations in the Best Actor category, for his performances in Breakfast on Pluto and The Wind That Shakes the Barley. He is joined in the shortlist by Colin Farrell for Miami Vice, Pierce Brosnan for The Matador, and Brendan Gleeson for Studs. Actor Liam Cunningham has been nominated for three acting awards across the Film-TV spectrum (The Wind That Shakes the Barley, Showbands, and Murphy's Law). Younger actors Padraic Delaney, Ruth Negga and Ruth Bradley received two nominations each. Along with Brosnan and Farrell other Irish talent working abroad is well represented. Fionnula Flanagan is nominated for Transamerica and Pauline McLynn is nominated for Gypo, while in the craft categories Irish cinematographer Seamus McGarvey is nominated for World Trade Center, and costume designers Joan Bergin and Consolata Boyle are named for their work on The Prestige and The Queen respectively. The five features in the running for Best International Film are Alejandro Gonzalez Inarritu's Babel , Martin Scorsese's The Departed, Jonathan Dayton & Valerie Faris' Little Miss Sunshine, Paul Green grass' United 93 and Martin Campbell's Casino Royale. The award ceremony, covering 32 categories, will take place on Feb 9 in Dublin. According to the organisers the number of submissions rose again this year, reflecting the growing expertise of Irish people working in the film and television industry at home and abroad.